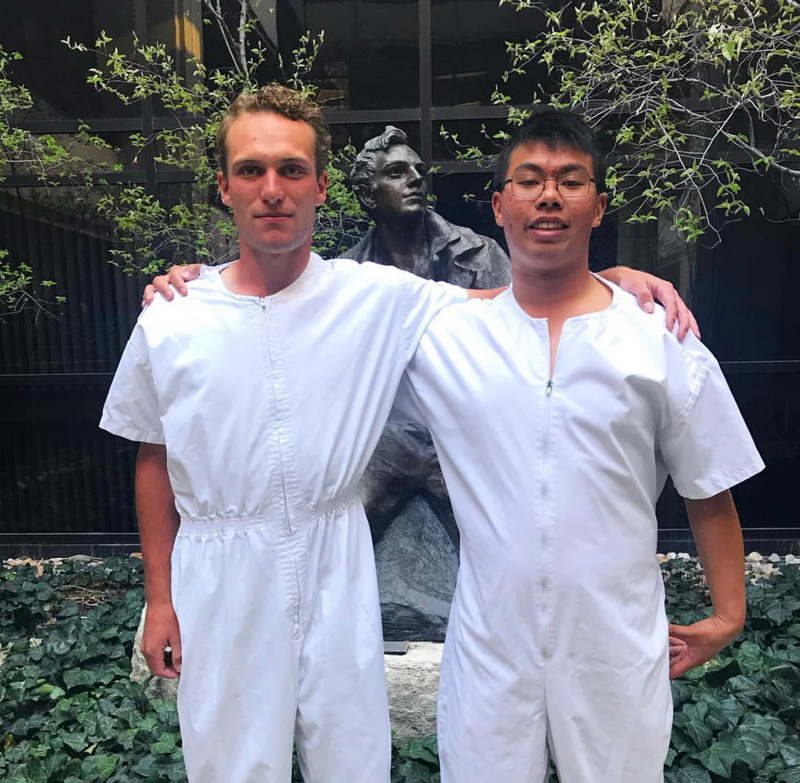 Senior Spencer Dunaway and sophomore Andrew Chin, both members of the BYU golf team, have become members of The Church of Jesus Christ of Latter-day Saints within the last year. Dunaway went on multiple visits to universities while being recruited. 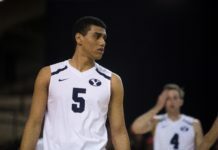 His mother helped him make the ultimate decision to come to BYU. He said he knew BYU would help him become an overall better person and stronger athletically, academically and spiritually. Though not religious growing up, Dunaway said he arrived at BYU with an open mind, eager to learn. His conversion process began in high school the summer before his senior year. At that point Dunaway had already made all of his visits, including his visit to BYU. Dunway was playing basketball outside his house in Hawaii when the missionaries visited his neighbors who were Church members. After the missionaries finished their visit, Dunway said they walked over and asked if they could shoot some hoops with him. 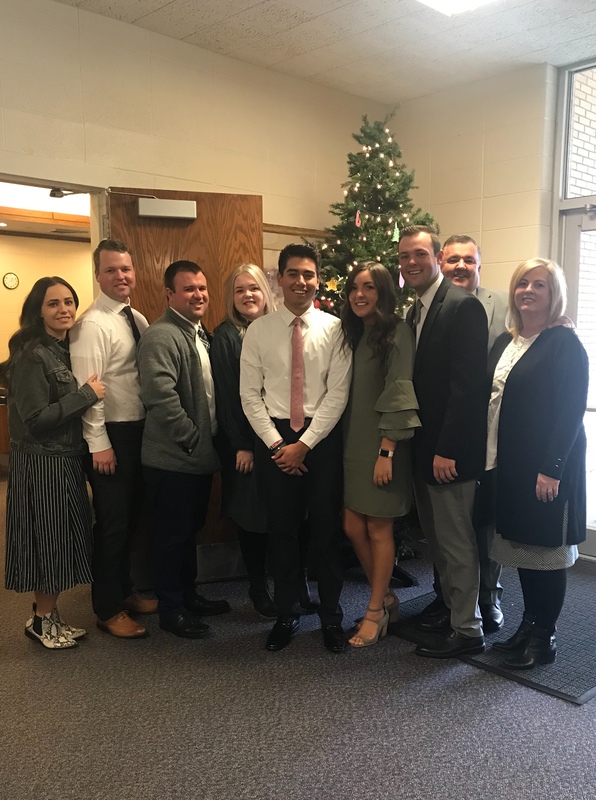 They started talking about the Church when Dunway told the missionaries he went on a visit to BYU and was leaning toward attending the university. They gave Dunway his first Book of Mormon and asked if they could come back. He agreed. As the missionaries met with Dunaway, they slowly started to teach him. He took about four or five missionary lessons throughout his senior year of high school. He started meeting with the missionaries again his sophomore year at BYU because he was dating a member of the Church who wanted him to take the lessons. He didn’t continue to do so for very long. 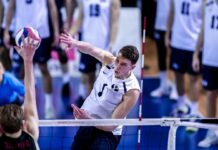 Dunaway said toward the end of his junior year at BYU, he realized his teammates and coaches had figured something out, and he wanted to learn and experience it, too. He told his teammates he was interested in taking the lessons again. He went on a road trip with his former teammate Dalton Stanger and they talked about the Church the whole way there and back. After that, Dunaway said he knew for sure he wanted to take the lessons again, and he took them twice a week until he got baptized in December. Dunaway’s current teammate and best friend, Brock Stanger, baptized him. Dunaway said the Stanger family has had an enormous impact on his life and has become his second family. Dunaway’s parents flew from Hawaii and his brother flew from Washington to attend his baptism. Dunaway said his family has been nothing but supportive throughout his conversion process. Dunaway said his favorite aspect of the Church is the ability to partake of the sacrament every week. Sophomore Andrew Chin also visited many schools while being recruited. He had a good feeling when visiting BYU — looking back now, he said he knows he was feeling the Spirit. Chin said he really liked the campus and what the coaches were doing with the team and that he couldn’t see himself playing anywhere else. Coming to BYU was a nice change, Chin said. He was at new student orientation his freshman year and did not realize nearly 99 percent of students at BYU were Latter-day Saints. Though not religious, Chin said he believed there was a God. He attended a religious elementary school and said he had a couple experiences there that turned him off to religion. He was worried the same might happen at BYU. Chin is interested in science and is majoring in astronomy. He said what he was learning at BYU led him to see how religion and science can go together. Chin was meeting with the missionaries when they asked him if he wanted to be baptized. They had already asked him the month prior if he wanted to get baptized, but Chin chose not to because his parents were not on board. When the missionaries asked him a second time, he told them he would think about it. In class the next morning, his professor was talking about dark matter, which Chin said made him begin to think deeply about God’s creations. “All of a sudden it hit me — this stuff is God’s stuff. God actually built all this stuff, and if I’m lucky enough, maybe I’ll be able to ask him one day (if the Church is true),” Chin said. It was a spontaneous decision for Chin. “I literally stood up in the middle of class and said, ‘I’m getting baptized,’” He said. 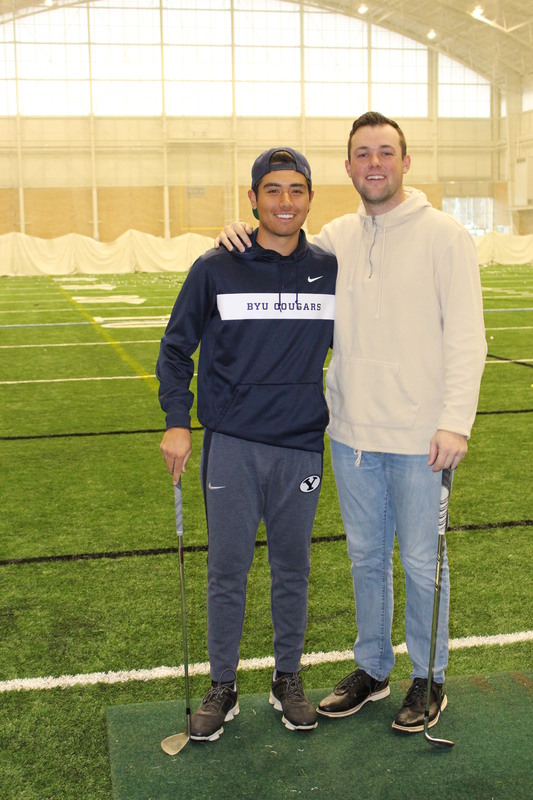 Chin said he had no idea golf would bring him to BYU, but coming in with an open mind helped him to come to know his beliefs for himself. 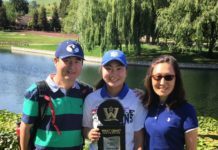 “I truly believe that golf brought me to the gospel, and for that I am eternally grateful,” Chin said.